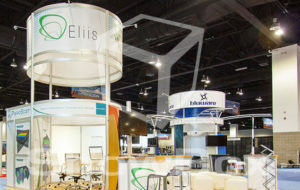 French company, Eliis, is making its way through the oil and gas industry as a software provider in seismic interpretations. As a newer company founded in 2007, Eliis is focused on getting its name and products known. 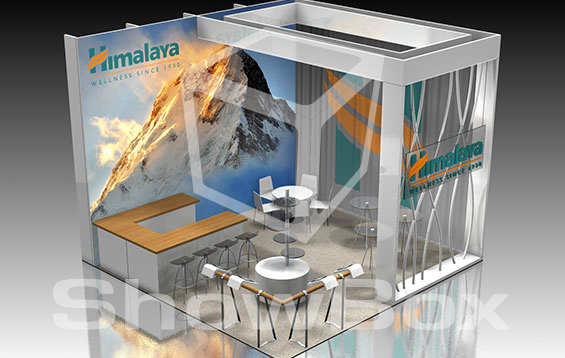 So the Company approached ShowBox Exhibits to help design a tradeshow booth for SEG (Society of Exploration Geophysicists) Conference. 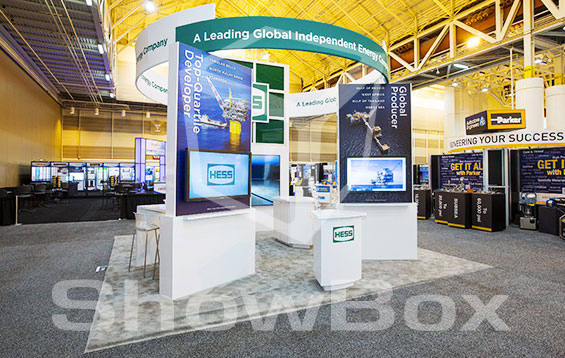 ShowBox Exhibits is no stranger to creating state-of-the-art booths, but making a name stand out amidst hundreds of exhibitors is the more challenging component. Furthermore, Eliis requested the design include a reception area, a conference room space, and a theater space with seating for six. 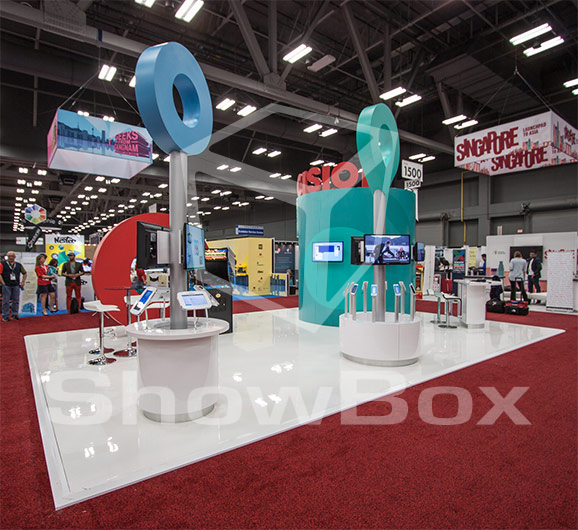 To project the company name across a room of 8500 industry professionals, ShowBox designed a grand16-foot tall circular header with the company name and logo. 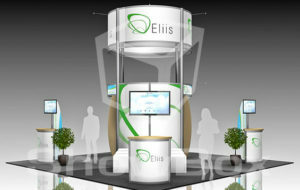 Complete with lighting, the Eliis name shined bright amongst other exhibitors. 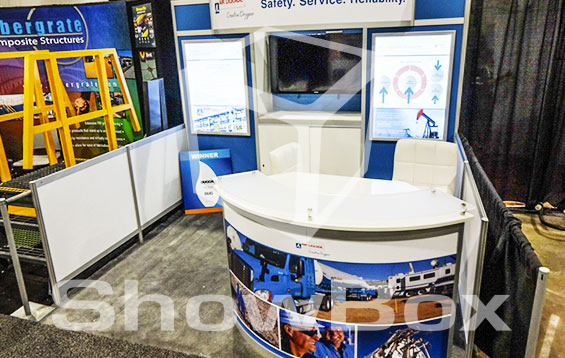 White signage, white walls, and white furniture were selected for a clean and fresh look. 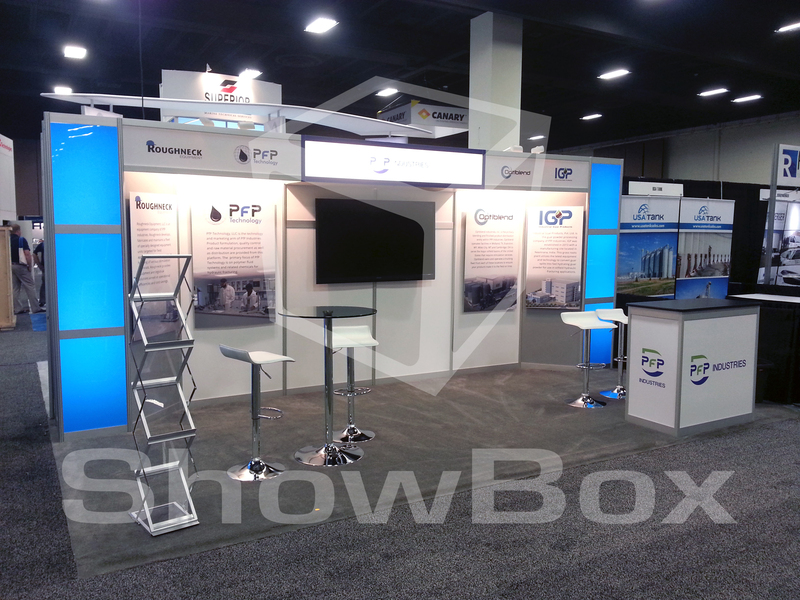 Per the client’s request, ShowBox was able to create an enclosed meeting space for four underneath the circular signage. 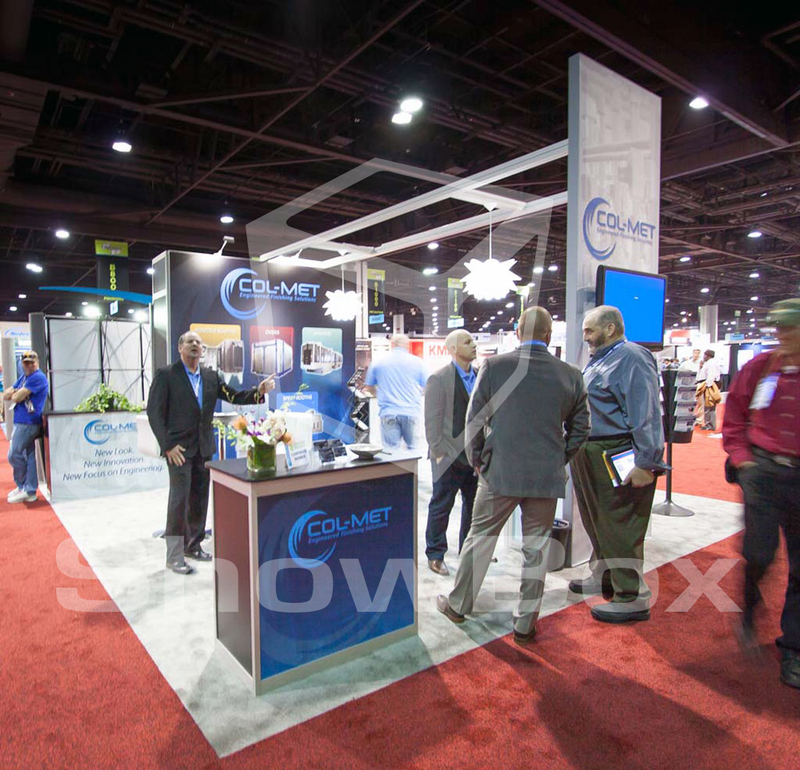 A theater space was constructed on the southeast end of the booth using an LED monitor and six cube-shaped ottomans for seating. On the opposite side of the theater area, a reception area with bar stools and LED monitor allowed for additional presentation space. We are fairly new to the game, so aside from standing out, we needed to incorporate spaces that gave us the opportunity to educate folks about what we do. 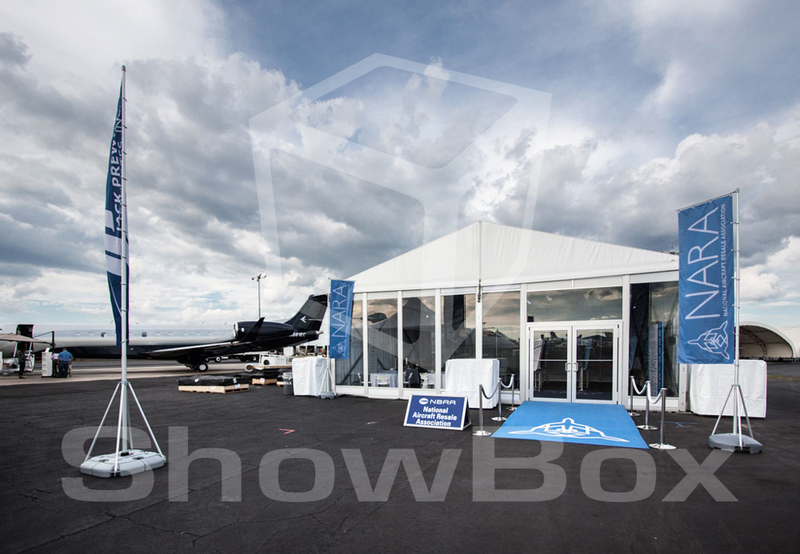 ShowBox did a phenomenal job creating a sleek design and incorporated all the meeting space we needed.